The following plugins are available for version 1.0 and above of the image hosting script. Note: Purchase of a plugin does not include the image upload script, you'll need to purchase the core image hosting script before you can install any plugins. There are a variety of payment gateway plugins available for Reservo, all of which can be found below. Accept payments using the Paypal payment gateway. 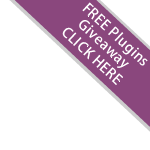 This plugin is supplied for free when you purchase Reservo Image Hosting Script. Accept payment for upgrades on your image hosting site using the Skrill (MoneyBookers) payment gateway. Accept payments on your site using the Payza payment gateway. Accept payment for upgrades on your site using Stripe. Accept payment for membership upgrades using the OKPay service. Accept payment for upgrades using the G2A Pay payment gateway. Accept payment for upgrades on your image hosting site using the Coin Payments payment gateway. Accept payment for upgrades on your site using the Pay Safe Card payment gateway plugin. This plugin allows your site to accept payments using the ByteSeller payment gateway. This bundled modification enables your image hosting website to run on NGINX. So the script can run on NGINX you simply need to update the NGINX re-write rules via your web server config. We do not charge anything extra for NGINX compatibility. The NGINX re-write rules are provided as part of the core script download. NGINX is highly recommended for image upload sites with larger traffic levels, to provide maximum performance.